One of the most popular games of current times, Fortnite has been revamped with the new Season 7 and after being announced by Epic Games, the season 7 of Fortnite with Christmas theme has started rolling out to iOS users. The latest update comes with special Christmas additions which include new vehicles, Christmas-themed gun wraps, snowy map and more. Since the 2018 iPad Pro comes with the A12X Bionic chip, Epic Games has also enabled 60fps support for the game for iPad Pro 2018 users. Fornite has also uploaded a trailer for the season 7 of the game which shows an island donned in Christmas spirits being attacked by a warrior Santa. The game has been hinted, to begin with, the crashing of an iceberg with the island, along with scary snowmen. The warrior Santa wages an attack via planes on the island, thus signalling the beginning of the game. Needless to say, this season of Fortnite brings a lot of changes to the game. There is the addition of the X-4 Stormwing planes and zip lines, which will make it easier for the players to navigate around the map. It is also apparent that now Fortnite will come with a lot of visual changes. However, the most noteworthy of it all is the snow-covered third map. This is bound to make navigation tougher for the players as now many areas will be covered with snow. 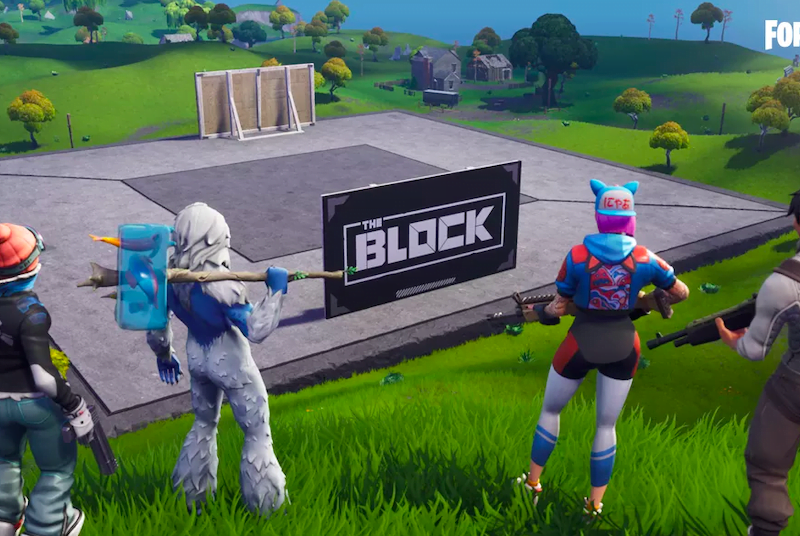 Fortnite Season 7 players will also see a new Creative Mode, which will allow the players to customise maps and also play using maps made by other players. This mode will help the players in availing unlimited time to play around, and they will be able to save the changes for later as well. Another new addition in the game is the new Battle Pass for the players, which they will be able to buy for $10 (~Rs 700) for unlocking additional rewards. Like other seasons, Fortnite has also installed 100 tiers for the players to unlock this season. Wraps are another new addition this seventh season, which can be used by players to customise their weapons, characters and vehicles. Notably, Fortnite has been a trendy game for iOS users. However, the Android users in India we waiting for the game to be available for Android OS as well. Back in August, Epic Games had announced the first Android Beta version of Fortnite. It was during the Galaxy Unpacked event in New York when the company had announced the availability of Fortnite Android Beta for select devices. Epic Games CEO, Tim Sweeney had remarked that given the high requirements of the game, initially, it would remain limited to devices like OnePlus 6, Google Pixel 2, Asus ROG Phone, Nokia 8, Razer Phone Galaxy S7, S8, Note 8, Note 9 and Tab S4. The executive further informed that the game would be available for these phone users in a 1.88GB package on an invite-only basis.